On behalf of the governors, staff and pupils of the school, I would like to welcome you to our website and recommend that you read through the information provided, as it gives a little of the atmosphere of St. Augustine’s. It is very difficult to put this ‘ethos’ into words, all I can say is that staff and governors are all deeply committed to a caring Christian approach to the children and their learning and we recognise that we are all part of the Christian community of St. Augustine’s parish. It is essential to maximise each child’s potential, that we all work in co-operation with each other, and to that end parental involvement is positively encouraged here. As headteacher of St Augustine’s School I appreciate the tremendous amount of goodwill and co-operation of parents, governors, staff and pupils. 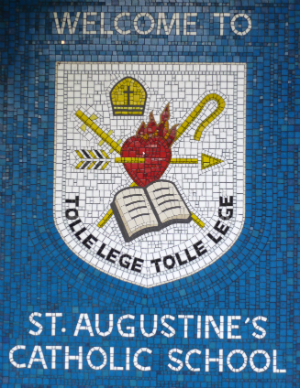 I have no hesitation in recommending St. Augustine’s to parents of any prospective pupil based on this experience. St. Augustine’s has been at the forefront of primary education in West London for many years and will continue to stay there, as well as being a shining example of God’s love in the community.